If you would like to get support from Wells Fargo customer service, one of the best options for you is social media. 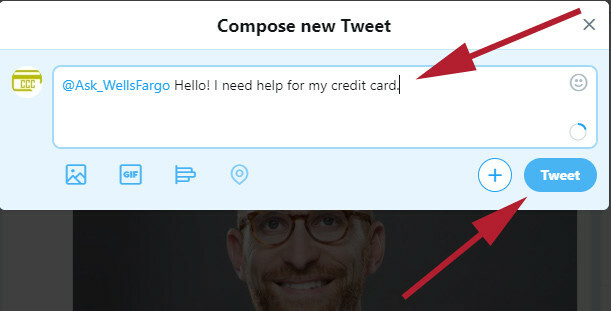 You can get help about your credit cards with Wells Fargo Twitter Support Account. Besides you will not need to contact to credit card customer service or any other services with this option. All you need to do is sending a DM through your Twitter account. 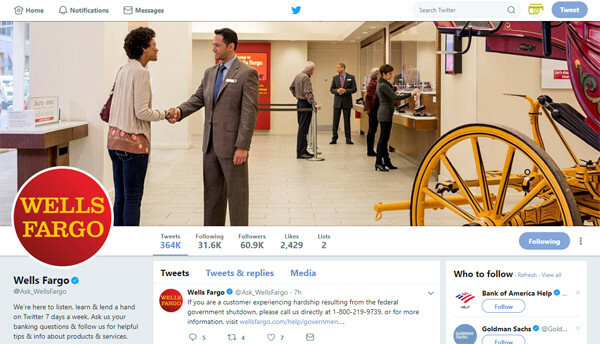 Wells Fargo account on Twitter is @Ask_WellsFargo. You can contact to Wells Fargo through this social media service. If you are new in this social networking website and don’t know how to write to Wells Fargo, you can also take a look at steps below. 1-) Click/Tap on Tweet Button. 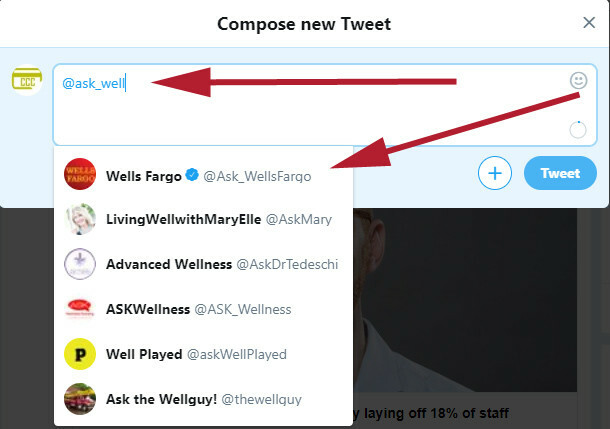 2-) Begin Type ask_WellsFargo and select the Wells Fargo account as we have shown in the image below. 3-) Begin to write that you need a support for your credit card or another issue. Then click on tweet. Now wait for response of the Wells Fargo. They are generally answering you in minutes but sometimes it can take time. There is only one way to contact Wells Fargo other than Twitter. It is Facebook. You can also write the company through online chat service. This will help you to have a conversation with customer service. We are going to give more information on this at our incoming pages! Keep follow us! If you want to apply for a Wells Fargo Credit Card, you can take a look at all card reviews of Wells Fargo on our website. If you have any questions about usage of social networks or how to contact to Wells Fargo through this service, please leave a review below.